Hargate House is a newly renovated 5 bedroom, 3 bathroom town house with a small private courtyard. 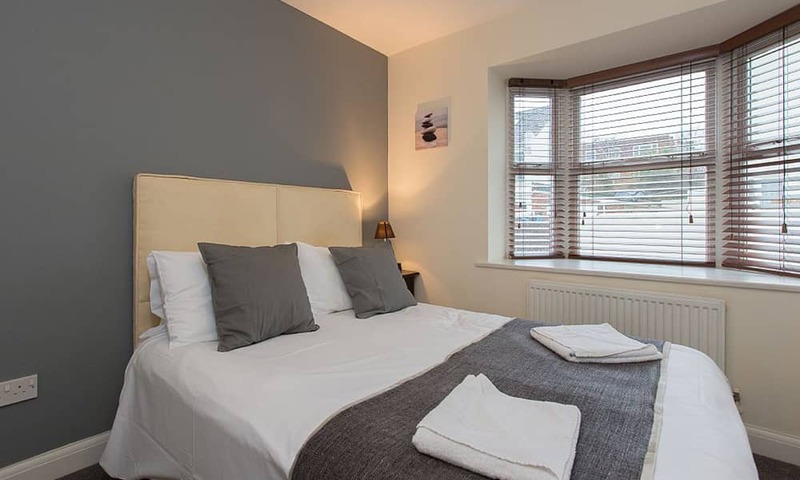 Comfortable and well equipped this is a great property for large group bookings looking for a great place to stay in Brighton. 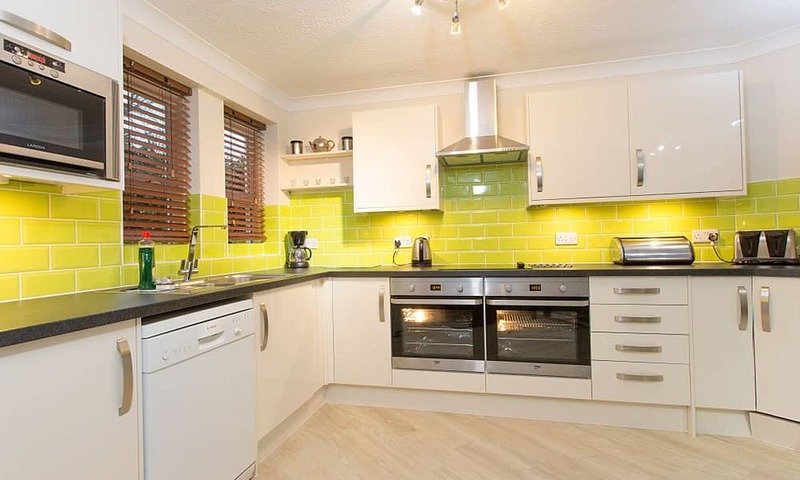 Brand new kitchen which is fully equipped with all you should need for your stay, there is an i-pod docking station in the kitchen as well. This modern kitchen is fully loaded with the appliances you would expect including oven/hob, fridge/freezer and dishwasher. 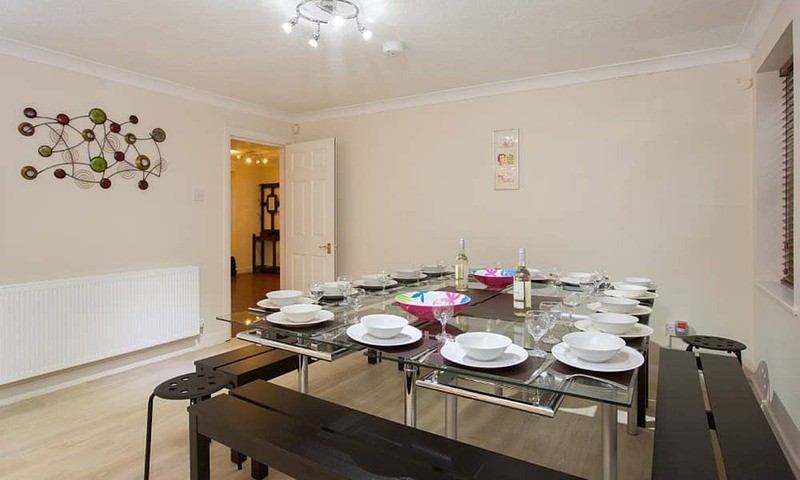 There is enough dining space to seat up to 16 guests. There is also a large Utility room with washing machine & tumble dryer, and access to the outside area. The large Lounge room is comfortable and luxurious and is an excellent space for large groups. 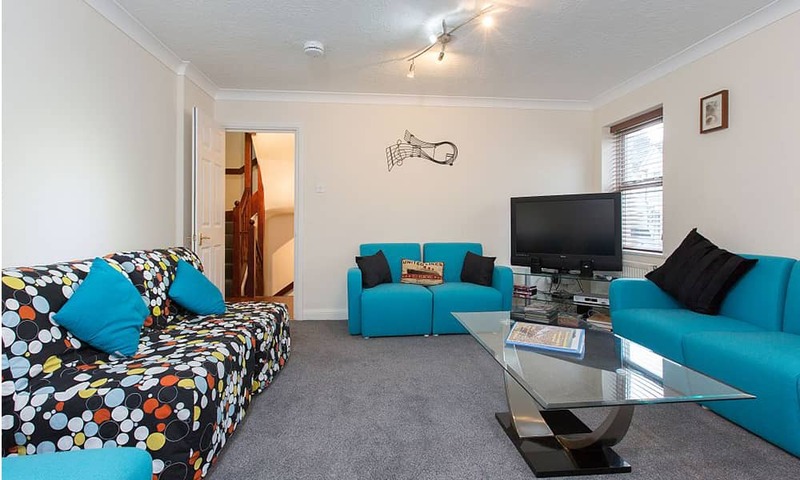 In a lovely contemporary style, there is seating for up to 16 people and a double sofa bed. Master Bedroom - On the very top floor of the house, you will find the Master bedroom which is en-suite. This room has one super-king zip and link bed, Mocha colours in all of the rooms give such a warm feel and this room is no exception. Bedroom 2 - A good size room with a super-king zip and link bed. Bedroom 3 - A further bedroom with a double bed. 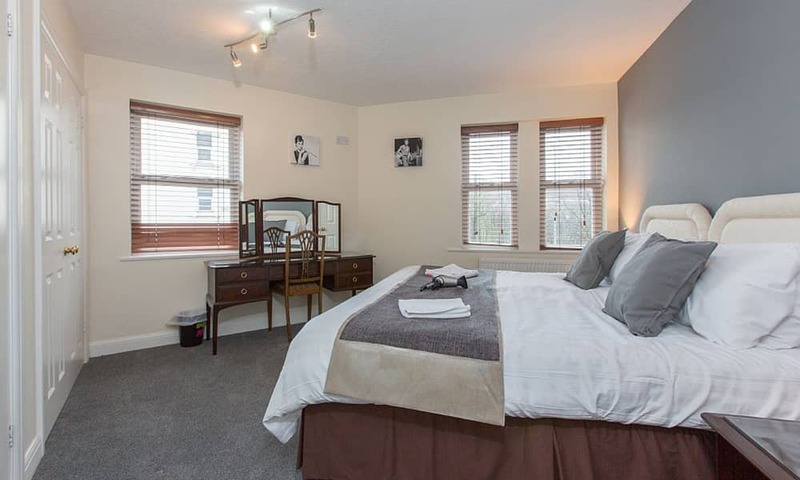 Bedroom 4 - This is a huge double bedroom which has been decorated to a very high standard. Two gorgeous super-king zip and link beds which have been dressed in sumptuous dark chocolates, makes you want to dive right in!! Dark wicker chairs and plenty of storage space for all of your belongings on a home from home stay. 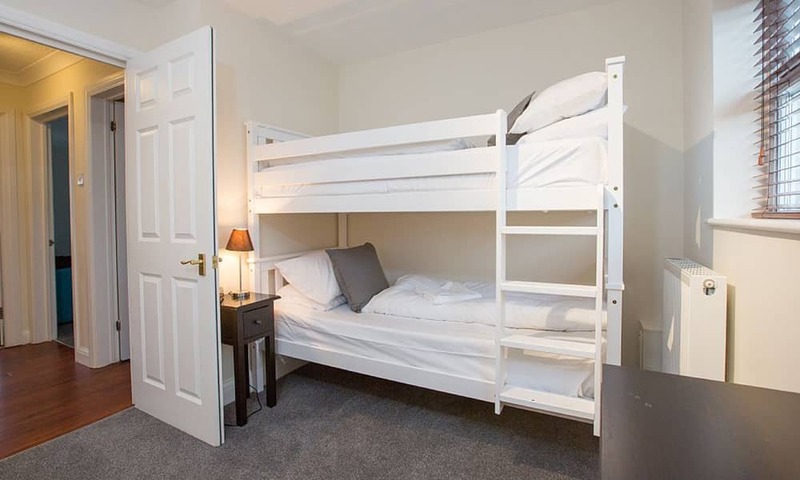 Bedroom 5 - A further double bedroom with a double bed and suitable storage for personal belongings. Two bedside cabinets with lamps provided. There are 3 Bathrooms in the property and a separate toilet on the ground floor. There is a BBQ and small courtyard area with a table and chairs to seat 4 and a further bench seat to seat 7. Free off-street parking for 1 car only. Any additional cars will need to pay for parking nearby.